Posted on February 1st 2012, by Bent Rods Guiding and Fishing Co. Bent Rods Guiding and Fishing Company is now offering 20 packs of jigs in a top quality jig box for $65.00. 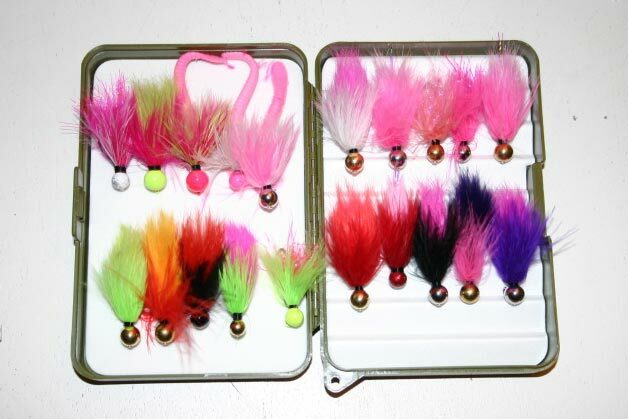 These are designed for catching winter steelhead in the various water conditions that we see during the season. Rod Toth, the owner of Bent Rods, always ties a few customs for every box, you will not find these anywhere else. To order, please email bentrodswife@bentrods.ca or phone 604-794-5976. Based in Chilliwack, Rod Toth is an experienced Fraser Valley angling guide who also custom makes jigs and spinners for steelhead and salmon. His products can be found at tackle stores across the Lower Mainland and Fraser Valley.